Please join fellow alumni in welcoming Professor Barker to Boston! Professor Barker is highly regarded around the world for her research on new religions, cults, and the movements these groups create. She will provide an informal presentation of her latest research and the chapter will have the opportunity for discussion and networking after. Validated Parking available with LAZ Parking – entrance located on Hawley Street. Daytime Parking: 20% discount on posted rate. Afternoon/Evening Parking: 3:30PM-3AM (up to 10 hours), $6 with validation. LSE alumni are welcome to bring guests. 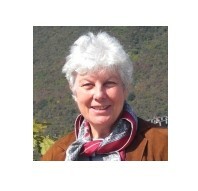 Eileen Barker is Professor Emeritus of Sociology with Special Reference to the Study of Religion. Her BSc (Soc) (Hons 1st class) and her PhD were obtained from the LSE. She also has an Honorary Doctorate from the University of Copenhagen. Her main research interest over the past 40 years has been, and continues to be, 'cults', 'sects' and new religious movements - and the social reactions to which they give rise; but since 1989 she has spent much of her time investigating changes in the religious situation in Eastern Europe. She has also been interested in the Armenian Diaspora and its relationship with the newly formed Republic of Armenia, and the religious situation in contemporary China and Japan. She has over 300 publications, translated into 27 languages. These include the award-winning The Making of a Moonie: Brainwashing or Choice? and New Religious Movements: A Practical Introduction, which has been published in eight languages. She has given guest lectures in over 200 universities around the world, and is a familiar commentator on religious issues on both radio and television. She serves on the editorial boards of numerous scholarly journals, and has been elected as an officer on the boards of most of the international organisations related to the sociology of religion - being the first non-American to have been elected President of the largest of these, the Society for the Scientific Study of Religion. In 1988, with the support of the Home Office and the mainstream Churches, she set up INFORM, an NGO affiliated to the Sociology Department at LSE which supplies information about alternative religions that is as objective and up-to-date as possible. All students studying at the LSE can have access to INFORM's resources.